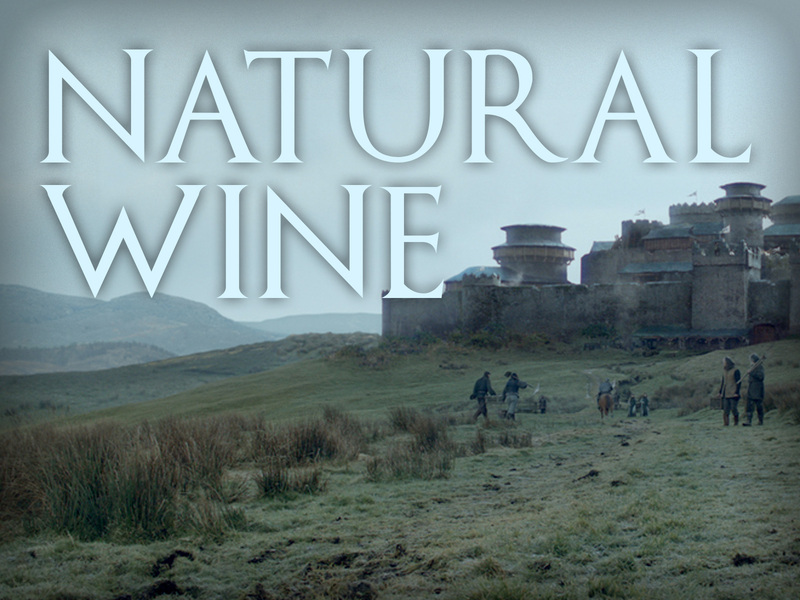 There’s no shortage of HBO-approved Game Of Thrones promotional tie-in alcohol. But we wanted to see if we could offer a fresher, more down-to-Earth perspective on the idea. Given that Game of Thrones is entirely fictional, we did have to take some liberties. 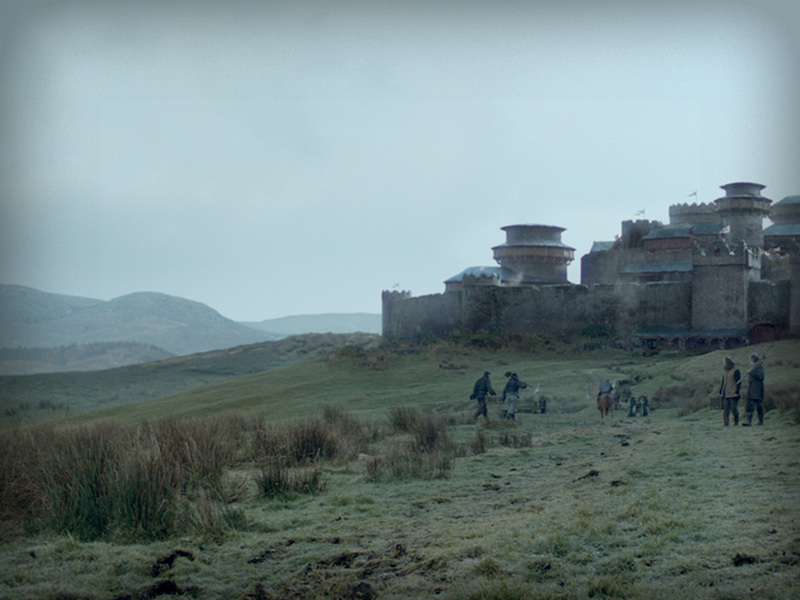 Looking around Westeros, it’s safe to assume they are relatively analogous to our Middle Ages, and that’s where we found inspiration. As it would happen, we’ve found several popular styles of drink from the Middle Ages that have been cycling back into popularity over recent years. 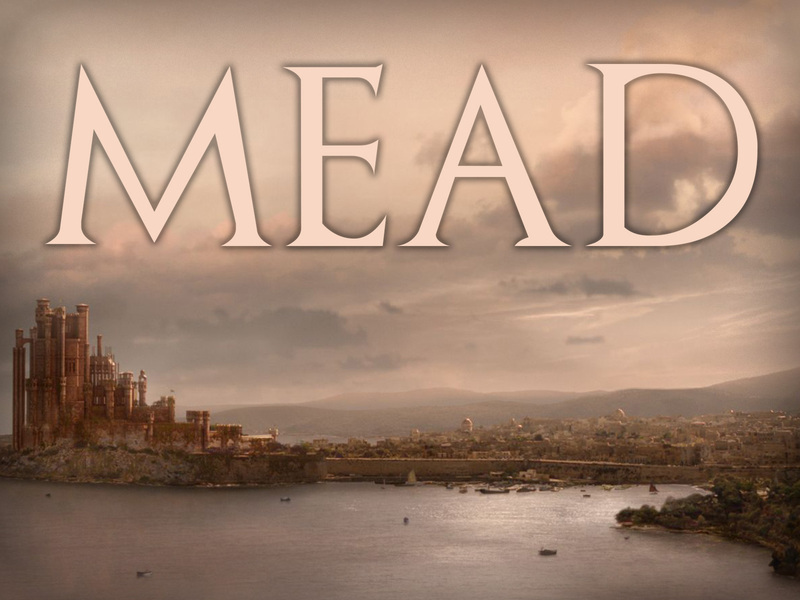 One of the oldest beverages in the canon of booze, mead seems perfectly at home in a Westeros tavern. Jon Snow doesn’t strike us as much of a party animal, but we could see him throwing back the occasional mead after a long day. Just by virtue of the drink’s history, it has a very ‘old world’ sort of connotation in many peoples’ minds, but mead has been mounting a comeback in recent years. Makers like Melovino and Moonlight Meadery are breathing new life into the centuries-old drink. According to Beverage Daily, over an 18 month period in 2017, a new meadery opened in the U.S. every three days. The appeal of mead makes sense to us, when we look at the qualities it offers. 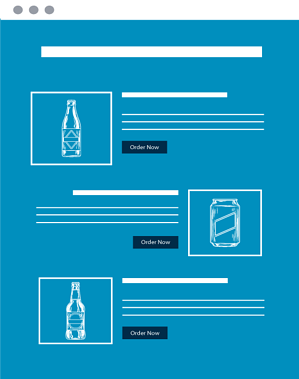 Consumers love to find what’s new, or rather, what’s new to them. Mead presents an opportunity for just that: unfamiliar, but familiar enough (even if only by name). In addition, meads are presented almost exclusively as craft beverages -- being made from honey, meaderies can focus on the farm-to-table nature of the beverage. Lastly, mead is no one-trick pony. Many producers incorporate fruits or botanicals, to create unique, exciting flavor profiles. Depending on the product, mead can be anywhere from a sessionable 5 percent ABV, all the way up to a party-starting 20 percent. While we aren’t saying to replace your beer list with a mead list, we always endorse offering your patrons something new, something they haven’t had before. With springtime kicking off shortly, a nice mead option would make a great addition to any beer program. This seems like the no-brainer of our list. Throughout the show, the characters in Game of Thrones can be seen enjoying generous goblets full of red wine. However, winemaking has come a long way since the middle-age idea of letting grapes sit in a bucket before drinking it. Now, a winery is filled with stainless steel and computerized, industrial equipment. Every step of the process is fiddled with and narrowed to an exact, perfect science. In recent years, though, there has been a return to the old-fashioned, ‘hands off’ approach to making wine. For the unindoctrinated, natural wine is generally made without added yeast, sulfites, or nutrients. Just grapes, and the natural yeast they produce when left undisturbed. With red, rosé, and white options, there’s a natural wine for all tastes. Natural wines offer a focus on the handmade, smaller-scale production ethos, which is certainly in line with today’s consumer zeitgeist. With 30 percent of households now buying organic meat and vegetables, it comes as no surprise that people are considering their wine, as well. People are additive averse, and a bottle of wine can contain dozens of such chemicals (side note: winemakers are not required to disclose any of this on their labels). It’s not just us, either! Natural wines have popped up on some of the hottest restaurants in the world in recent years, including Eleven Madison Park, Lilia, and Le Coucou. In 2018, now-NYC-hotspot Frenchette opened with a list of exclusively natural wines to critical acclaim. Natural wines cater perfectly to that consumer need, while also offering a fresh take on an old classic. These natural wines can be subtly fizzy, and oftentimes carry flavor profiles rarely seen in typical modern-style offerings. Just like mead, natural wine presents that perfect balance of new and familiar for our guests. We fully support this fresh, growing movement within wine, and we suspect those Targaryen folks would be right there with us. Just give us a chance here. In the middle ages (and thus, likely in Westeros), hop-free was the way things were, it was the in-vogue way to drink beer. Until about the fifteenth century, when beer was given a legal definition of including hops, this sans-hops beer, also known as gruit, was the main option. 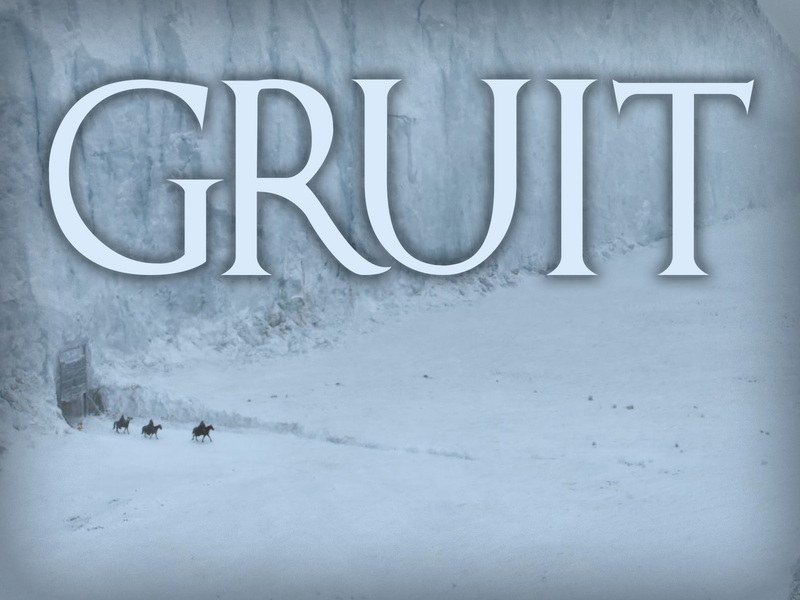 And so, if Jon Snow isn’t feeling the mead or wine vibe, he might just reach for a nice, hop-free gruit. In today’s beer market, where IPAs seem as pervasive as pumpkin spice lattes, going no-hops might seem like a ridiculous proposal. Trends are cyclical, as we all know. If red wine is ‘in’ now, white wine will be ‘in’ next year. If dark rum is the hottest thing this summer, white rum will be the go-to for 2020. And so, gruit is our dark-horse pick. These traditional, hope-free brews are perfectly on-trend with today’s tastes. Using herbs and botanicals, gruit brings to mind foraged, local produce that inevitably changes with the season. Some of the craft heavy-hitters are taking notice, too, and putting their own spin on this ultra-traditional ale. Williams Brothers Brewing Company has introduced a Historic Ale Series, featuring beers that are created with a ‘token’ amount of hops. Dogfish Head rolled out their Kvasir offering in recent years, creating an old-world beer featuring wheat, lingonberries, and birch syrup. Although temporarily shelved, Dogfish Head is often known to resurrect their past brews. The gruit style of beer is far from the all-powerful force that is the modern IPA, but that’s exactly why we love it. Giving our guests something they can’t find anywhere else, or maybe haven’t even heard of, is a great experience for both sides of the bar. Gruits are not impossible to source (far from it), but they are a well-kept secret amongst casual drinkers. Whether you want a full-on Game of Thrones night, or you just want to honor days of booze past, these are all good options. No matter your mission, it’s critical to keep a bar program fresh and interesting. To keep things fresh, we find that looking back in time is always a good call.